Dr. Lynda Nguyen, a native of rural Buras, Louisiana, earned her Bachelor of Science degree in Biological Sciences with a minor in Chemistry from Louisiana State University. She went on to earn her Doctor of Optometry degree from the University of Houston College of Optometry and graduated as a member of the Beta Sigma Kappa International Honor Society. Dr. Nguyen has completed extensive training in the diagnosis and management of various ocular conditions such as diabetic retinopathy, dry eye syndrome, age-related macular degeneration, and glaucoma. Dr. Nguyen is licensed to practice the highest level of optometry granted by the Texas Optometry Board. 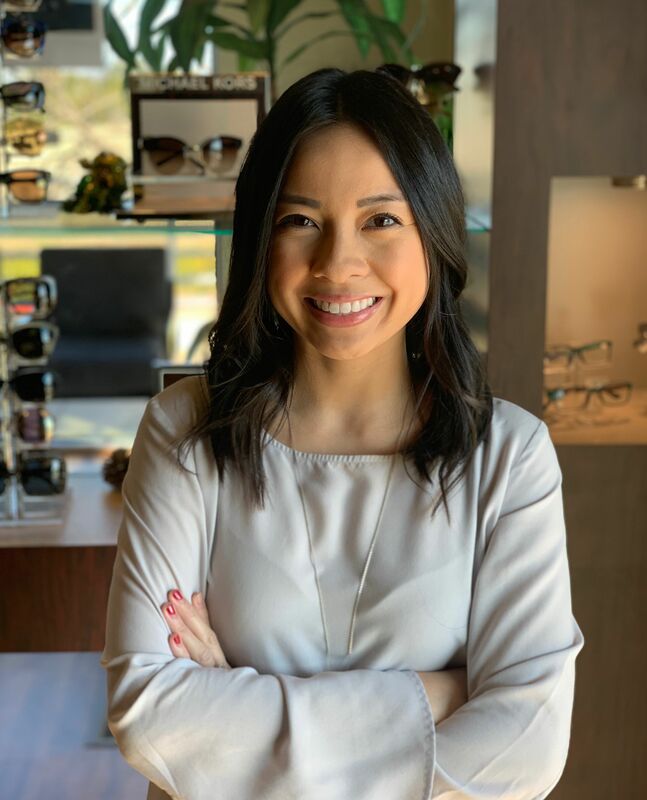 She has a special interest in primary optometric care, ocular disease, LASIK and cataract co-management, dry eye management, and specialty contact lens fittings including astigmatism and multifocal correction. Dr. Nguyen enjoys taking the time to get to know her patients and educating about their eyes and health. As Benjamin Franklin once said, “an ounce of prevention is worth a pound of cure”, she passionately believes and advocates for preventive care in order to sustain great vision and quality of life. She is a member of the American Optometric Association, Texas Optometric Association, and Dallas County Optometric Society. In her leisure time, she enjoys spending time with her husband and family, traveling, cheering for the LSU Tigers, trying new restaurants, and exploring the DFW area.